The Oakville Curling Club is committed to the development and continued growth of the fantastic sport of Curling... and we want to teach you how to play! For the 2018/19 Season, we have prepared a series of Learn to Curl (L2C) programs to get you into the swing of this great Canadian sport. 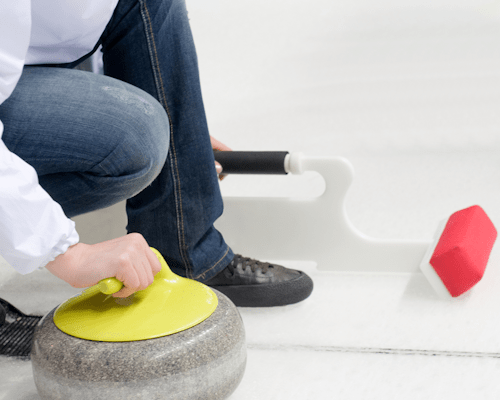 Fall in love with Curling at our house this winter! Space is limited, register today! WHICH PROGRAM IS THE RIGHT ONE FOR YOU? Select the statement that best describes you. I completed Learn to Curl...what's next? all other equipment is provided for you. Looking for help to choose the right program for you? Call us! Do you want to be notified of Learn to Curl and other events?